Martin just announced a fader wing (control surface) for their M products, including M-PC. This is a companion to the M-Touch that we use with M-PC software. 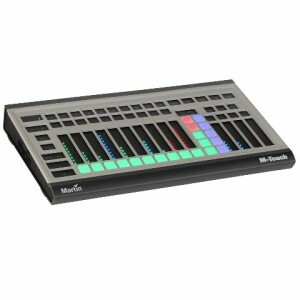 For now, here at WindWorks Design, we are sticking with our M-Touch as we continue the learning curve to move from Martin Light Jockey over to M-PC with the M-Touch control surface. 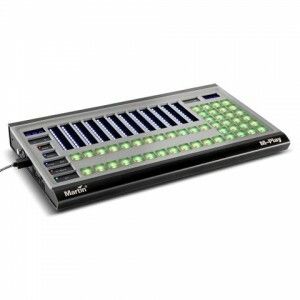 This entry was posted in Lighting Technology, Theatre Technology and tagged automated light, automated lighting, Light Jockey, lighting console, lighting console programming, lighting controllers, lighting design, lighting technology, M-PC, M-Play, M-Touch, Martin Professional. Bookmark the permalink.